My mother made the best pie. Ever. It was her crust that was incredible. 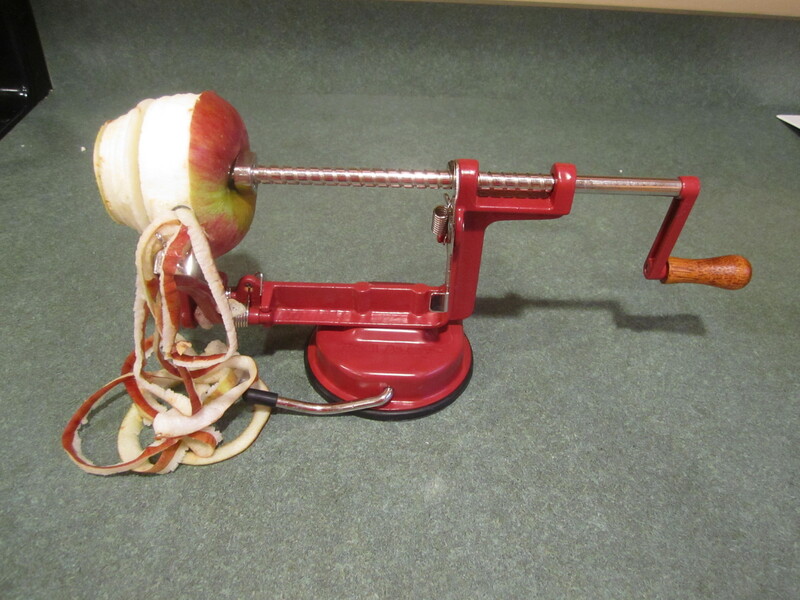 I asked my Mom once how she got started making pies. She said that her mother made cakes all the time, really good cakes and she wanted to be different. So she learned to make pies. I tried, when she was still here, to make her crust and had lessons from my Mom several times, even once with my daughter. The crust was so hard for me. I just couldn’t get it. 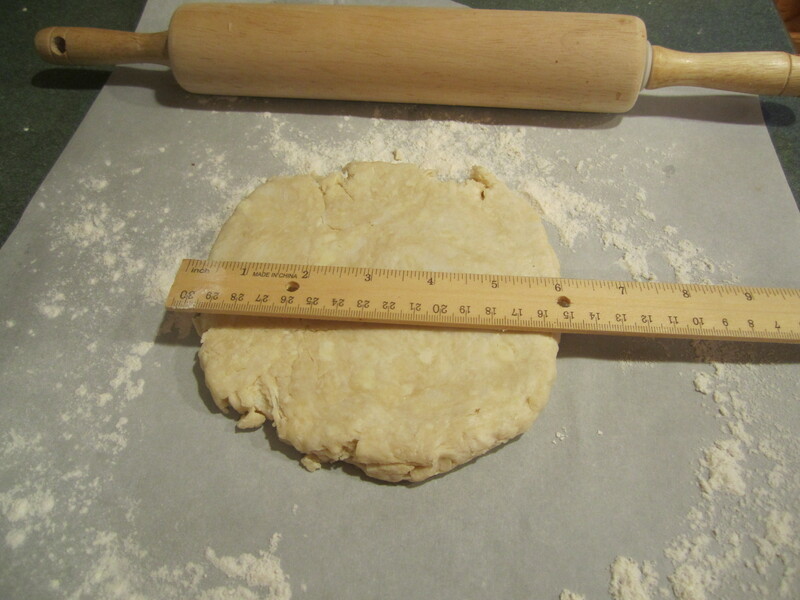 So I would give up, use a pre-made pie crust from Pillsbury and homemade filling. I even had the audacity (that’s how I look back at it now!) to make this kind of pie when my Mom came for dinner and she would always tell me how delicious it was. And she really meant it: always encouraging, never selfish. But I could tell the difference. Her pie crust was flaky and melt in your mouth delicious. So now, several years later, I am back on the pie road. 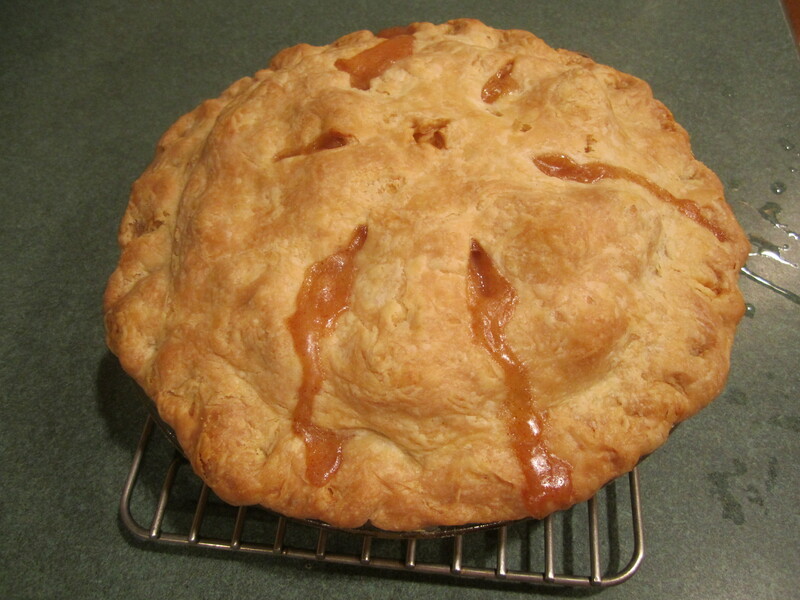 My inspiration to start again was a video of a Pie Making Contest Winner and her recipe. Video’s are good. It seemed simple enough watching her. 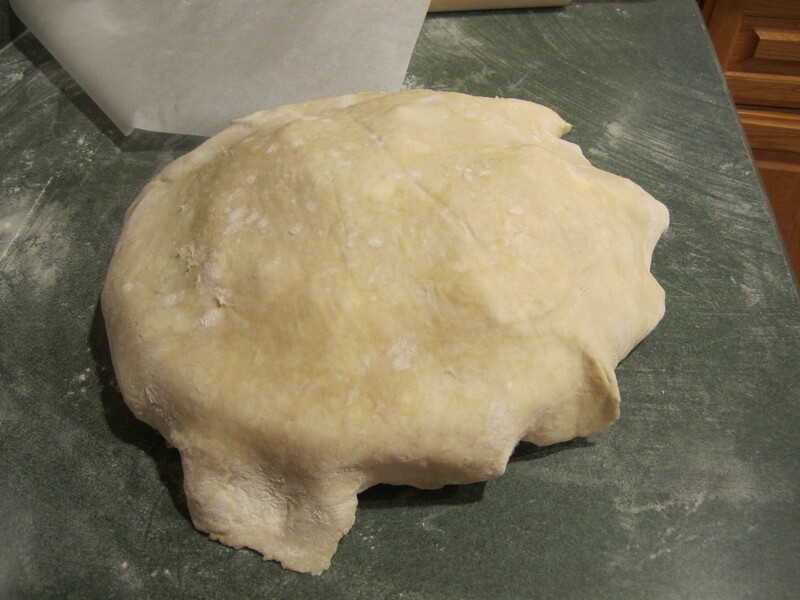 And she used Crisco Shortening, different from my Mom’s crust, maybe this would be the answer. Well, I made 3 crusts in one day and got 2 apple pies out of it. 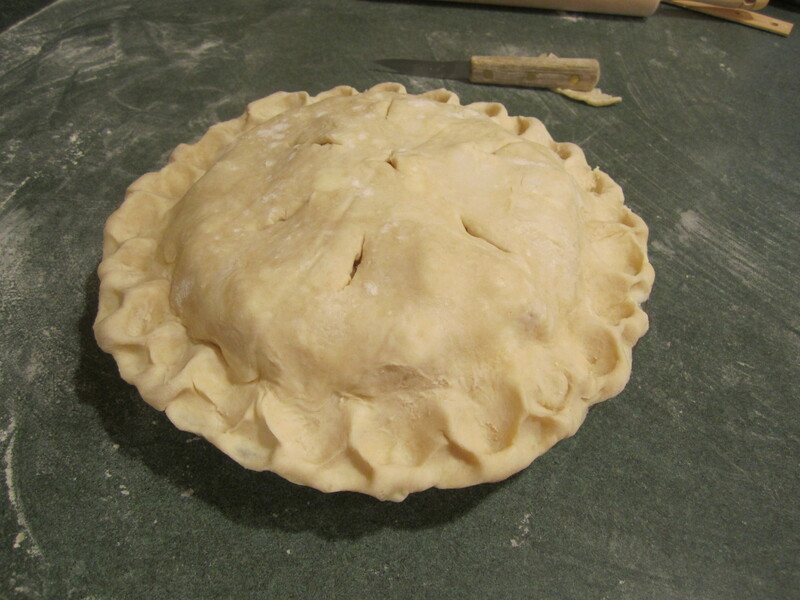 The first crust was the all Crisco Shortening and a disaster because I couldn’t roll it out. (And this is from a person that just recently and successfully made chocolate croissants! A complex dough! With a lot of rolling! Sigh.) It stuck all over the place so I threw it out! It looked so easy in the video! 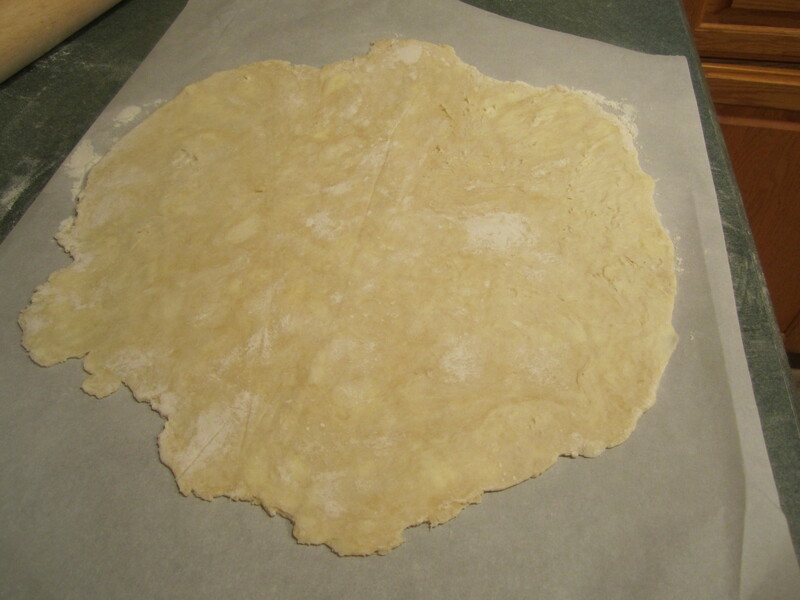 I made another all Crisco and decided to roll it between two sheets of wax paper. 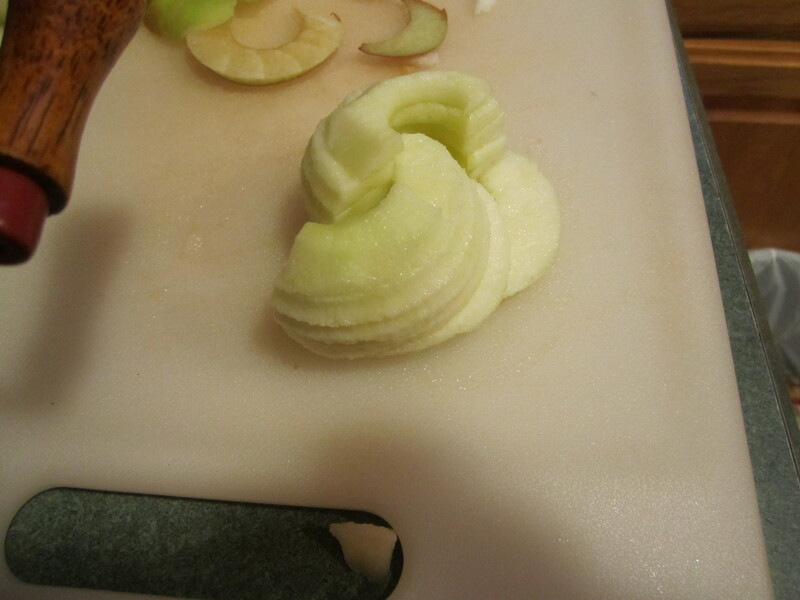 That was ok but the wax paper started falling apart 2/3 through the rolling. So then I decided to look up a recipe with Crisco and butter because I was running out of Crisco. 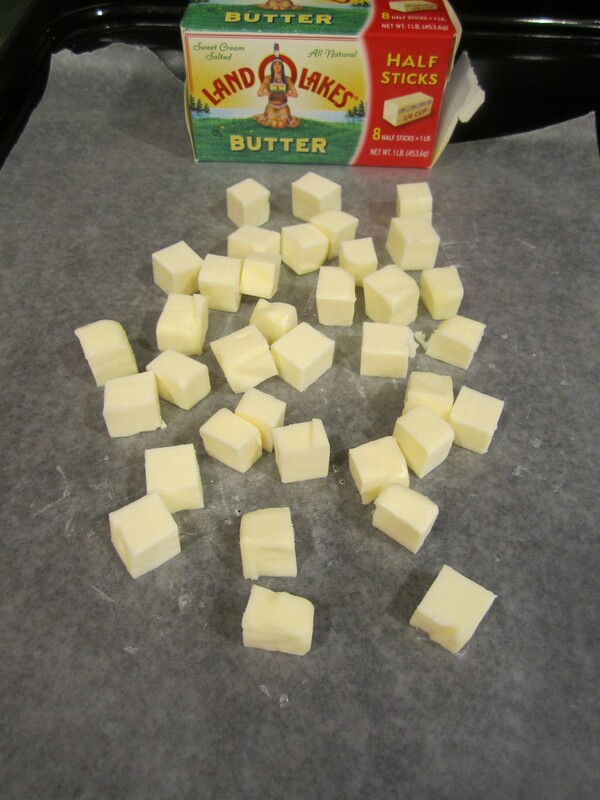 This recipe used 1/2 Crisco and 1/2 butter and less flour. I rolled that one between pieces of plastic wrap, which was better but it barely fit into the pie plate because the amount of crust was too small. 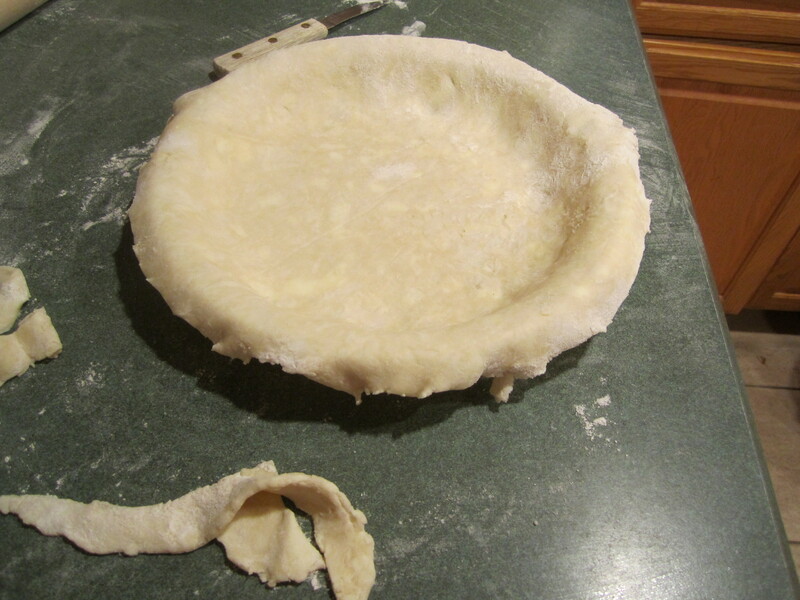 I realized a pie crust needs at least 2 cups of flour for a double crust pie. I was learning. The pies were ok, I didn’t care for the crust and the filling was not how I remember my Mom’s. So much for the informative video and prize-winning recipe. My Mom used lard and a bit of butter in her crust recipe and she never used the Cuisinart to cut the fat into the flour. 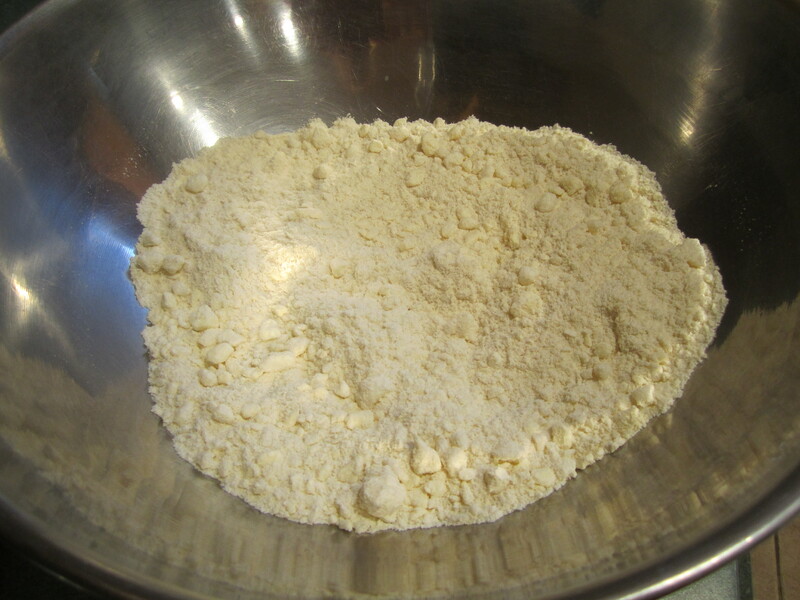 She used a Pastry Blender/Cutter and a fork to mix the water, flour and fat together. 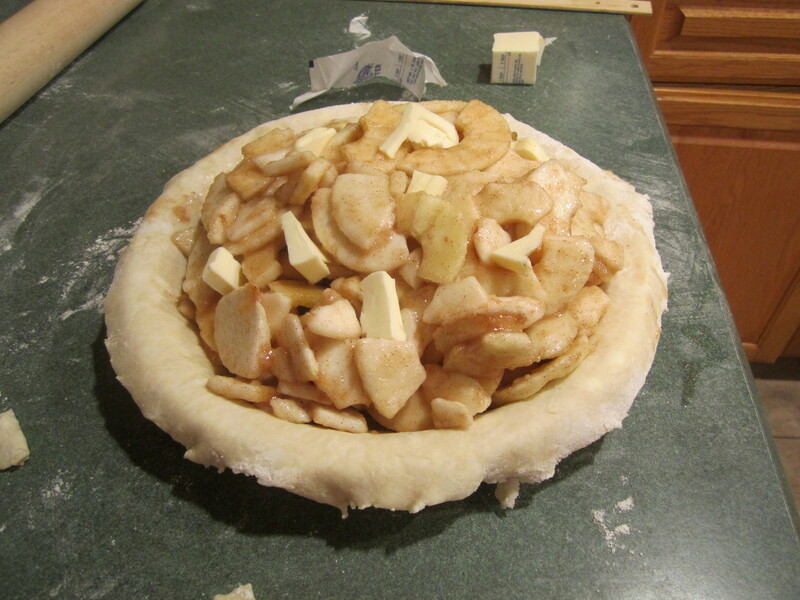 Well, I needed to take baby steps if I was going to get over my pie crust phobia. 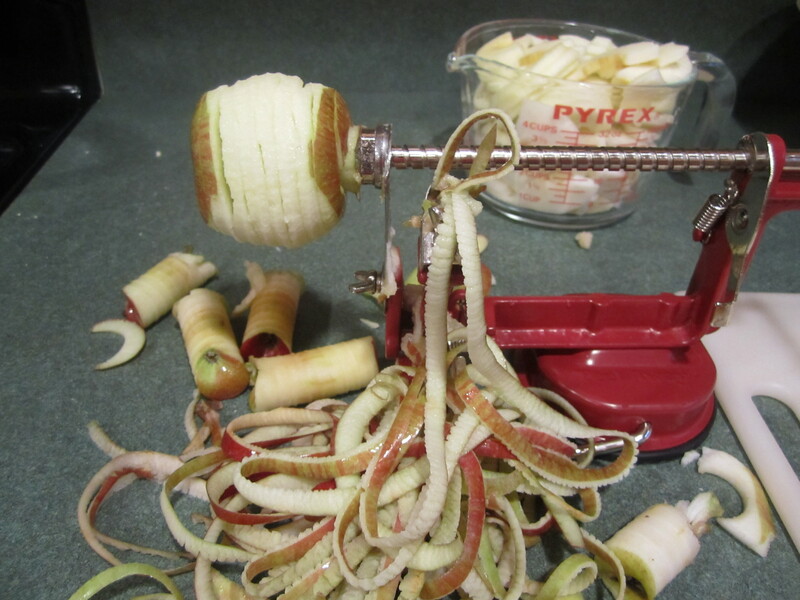 So I decided to find a recipe (so I could read directions) that used lard and butter and the Cuisinart. Bon Appetit had just what I was looking for and also great tips on how to roll out dough using sheets of parchment. Ok, I could do that. 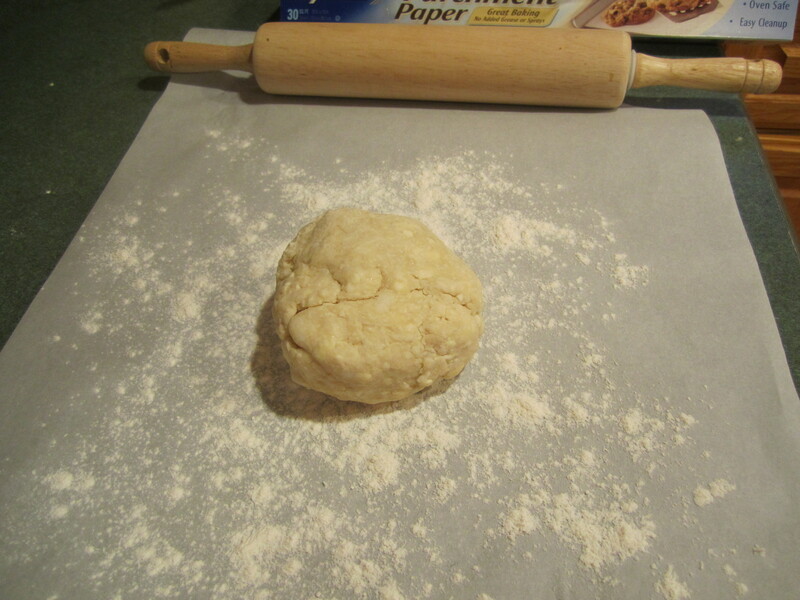 Maybe if I practiced rolling out dough between parchment, I could eventually move up to no parchment rolling. 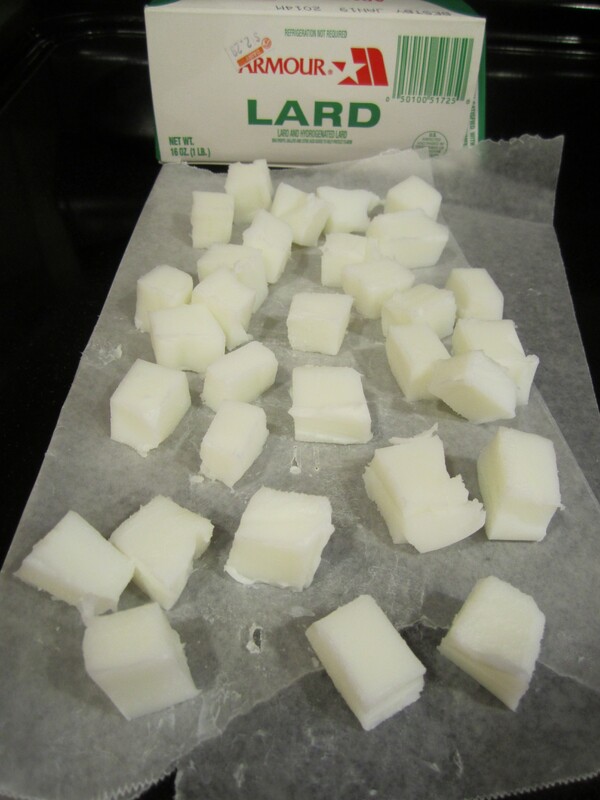 I ended up freezing the butter and the lard (I highly recommend lard as opposed to Solid vegetable shortening) cubes for about a 1/2 hour, to make sure they were cold enough. 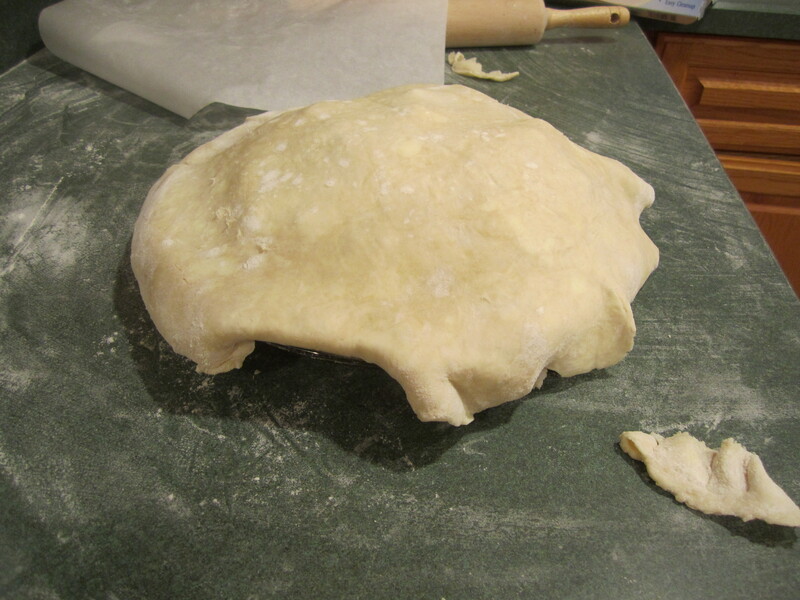 I kept on gathering sections of the dough when it was ready, setting it aside and adding more ice water to the rest of the dough until all of it was gathered. 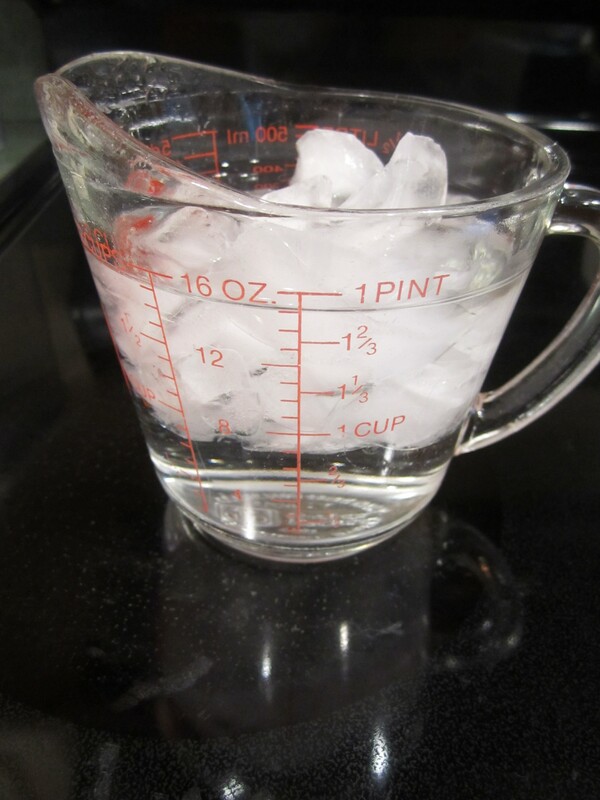 I probably used 10 tablespoon of cold water, total. This made me extremely nervous and the part I disliked the most besides rolling. After discussing this with my daughter, she made me realize that the more you do this the better you will get. Sigh. Again. The rolling between the parchment worked well. Except I had to lift the parchment once on each side and add a bit more flour so the dough wouldn’t stick so much when I finally took it all off. 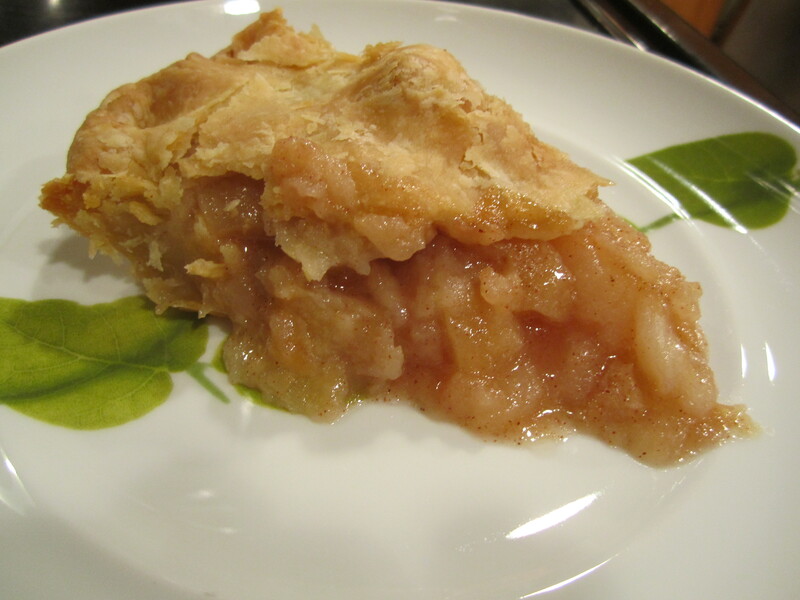 *Also, I read a tip on how to prevent too much space between the baked crust and the apple pie filling: press down on the apples after putting them into the pie crust and do not stretch the pie crust over the filling. Gently place it over the pie filling.